One of my favorite things about this recipe is that it’s not only gorgeous to look at, but it tastes amazing. 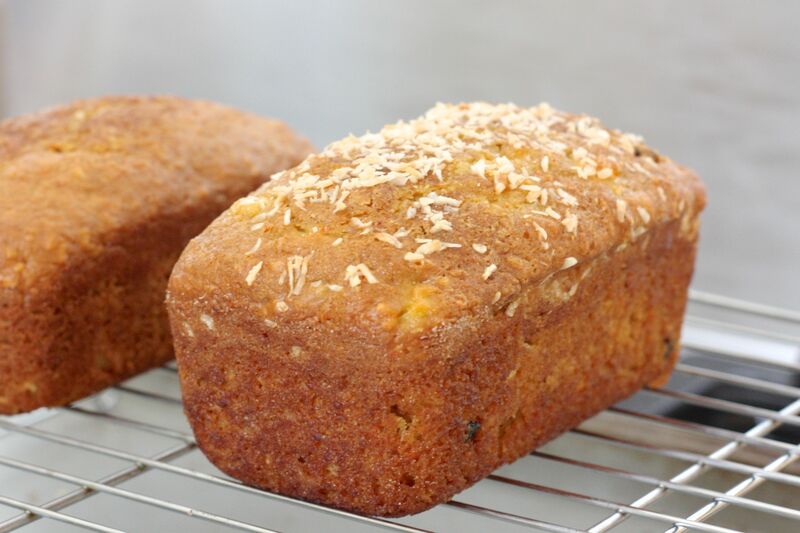 Fresh apples, raisins, carrots, coconut and walnuts make this hearty Amish Friendship Bread recipe the perfect grab-and-go morning treat. 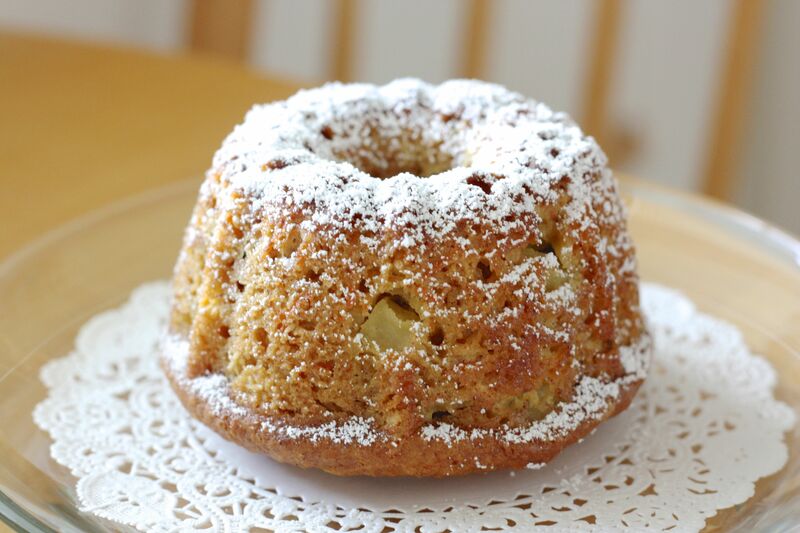 This Amish Friendship Bread variation does well as muffins, mini loaves and mini Bundt cakes. Dust them with powdered sugar and you’re good to go. For this round we ended up with two mini loaves and four mini Bundt cakes. We kept a mini loaf for us and gave away the other mini loaf to a neighbor. We kept one mini Bundt cake for us, gave one to some vacation rental guests who were staying the night, and the last two to our oldest son’s best friend’s family. In other words, we got a lot of mileage out of this recipe, with just enough left over for us. Here’s a cross-section of the mini-Bundt cakes. We’ve eaten up our share, but just looking at this picture makes me want to whip up another batch. Enjoy! 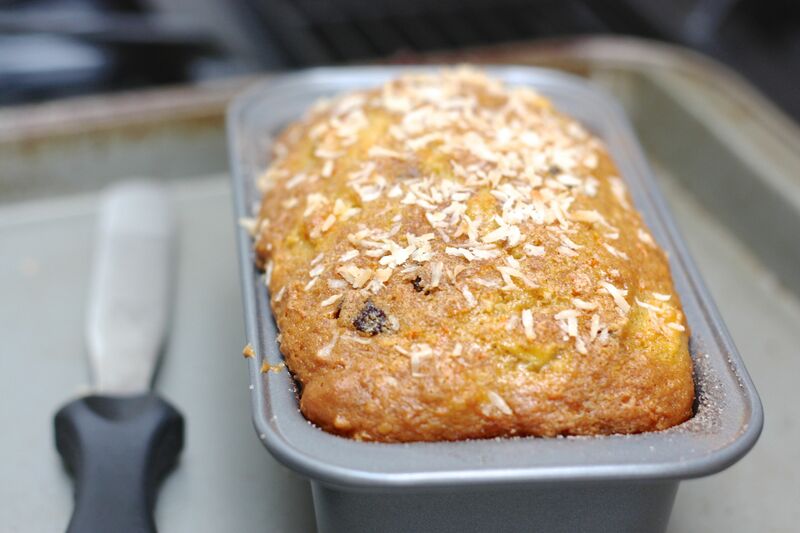 Apple, raisins, carrots, coconut, walnuts and cinnamon make this Morning Glory Amish Friendship Bread the perfect choice any time of the day. In a medium bowl, whisk starter, eggs, oil, applesauce, carrots, sugar and vanilla. Stir in starter mixture until just incorporated. Grease muffin tins or line with paper muffin liners. If desired, dust the greased muffin tins with a cinnamon-sugar mixture. Bake for 20-25 minutes or until the tops are golden and a toothpick inserted in the center of the bread comes out clean. Reduce prep time by shredding carrots and chopping the apple in a food processor. Make it even healthier by substituting 1 cup all-purpose flour with whole wheat flour. You can also substitute ¾ crushed pineapple (with juice) for the applesauce. Swap out raisins for dried currants, dried blueberries or dried cranberries (or a combination of all three). These muffins freeze nicely as well. I made this recipe in a bundt pan and it turned out very well! Was a bit confused since there is milk in the instructions but not in the ingredients list. I decided to go ahead and make it using the ingredients listed and would add milk if it looked a little dry. No milk seems to be needed, it is a very moist bread. Hi Emily! Thank you so much for pointing this out–we just fixed it (to exclude the milk). We’re baking them into muffins later this week–so glad you have a chance to give the recipes a try. Welcome to the Kitchen! *Should read “shredded zucchini,” and not “services.” Ha! This sounds so good! I am going to make it using Splenda since my husband is diabetic, but this sounds fantastic and very healthy as well. Being from England I couldn’t get hold of the instant vanilla pudding so I made my own with the recipe on this site. These muffins were so good. A perfect recipe to introduce my friends to before I begin handing out my little jars of starter. I’ve been looking for something I can have with my cup of coffee in the morning and this sounds so good! Going to make them as muffins. Can’t wait! Thank you! These mini muffins look like a great item for a Mother’s Day brunch! These muffins are sooo good. 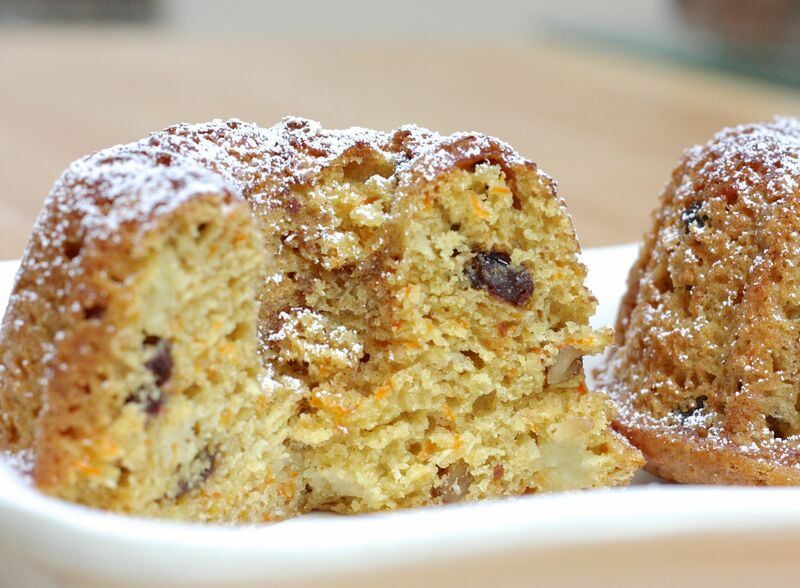 What a lovely recipe…perfect to bake in advance for Mother’s Day breakfast. What size were your mini bread and bundt pans? Hi Michelle! Our mini loaf pans and mini bundt pans were the standard size. The mini loaf pans were 5.5″ x 3″, and our mini bundt pans were 4″ across. Hi Hannah, first, thank you so much for sharing all these recipes💕. Now, I have one question, do I have to use the instant pudding mix? Not sure what purpose it serves? Thank you again. Hi Sharon! So glad that you are enjoying the recipes. You can make the recipes without pudding mix, but we recommend using pudding mix because it adds both moisture and flavor to your Amish Friendship Bread creations. Happy baking! I made this into muffins and small cakes. It is awesome!! One of the most flavor filled recipes I have tried in a long time!! Very tasty!! !